Missoula County commissioners are looking ahead to the 2019 Legislature with some trepidation, having been left to deal with the fallout from significant state budget cuts over the past year. After hearing Gov. Steve Bullock’s presentation at this week’s Montana Association of Counties conference, commissioners Dave Strohmaier and Nicole Rowley said county taxpayers have already had to “pick up the slack” to provide social services previously funded by the state. Yes, they agreed, the state has seen wage growth and low unemployment, but a special legislative session earlier this year cut a number of state programs so dramatically that individual counties had to take on the costs. And that, in turn, will mean higher 2019 taxes for Missoula County taxpayers. Commissioners last month adopted a 4.8 percent property tax increase as part of the FY2019 budget. “One of the things we’ve been grappling with in our budget process this year was, in light of budget cuts last legislative session in Helena, figuring out how we backfill with local property tax revenue to pay for things that, arguably, should’ve been paid for by the state of Montana,” Strohmaier told the Missoula Current. At the county level, property tax increases are the only revenue source that can keep some services going. “I think we’ve definitely been picking up some of the slack, and social services certainly have not been administered as well as they have been in the past because of the lack of funding,” Rowley told the Missoula Current. In his speech to MACo, the governor mentioned a few priorities for the next legislative session, including apprentice programs, criminal justice reform, and stronger campaign finance laws. He also wants to provide opportunities for voluntary preschool programs and college and post-secondary education affordability. Most notable was the conversation around sustaining Medicaid. The governor endorsed passage of the I-185 initiative on November’s ballot, which would use a tobacco tax to increase revenue to preserve Montana’s expanded Medicaid program. For every cut this year, there have been ripple effects – programs that suffered indirectly because of the reductions. For example, cuts in case management also affected those who need help accessing needed services, which pushes many residents into homelessness and without medications. Ultimately, the combined costs have a greater impact than just paying for case management in the first place, Rowley said. The commissioners are working to preserve a safety net for social services and mental health care, with Rowley saying it’s one of their top priorities. Bullock mentioned a shortcoming in the last session that was later rejected and seen as a tax. Doubling the fees paid from $50 to $100 when renewing a registered investment adviser license alone in Montana would have raised about $13 million in revenue. The fee is the lowest in the nation, Bullock said. “We’ve got to talk about what sort of services do we want and how do we get the revenue to get there?” Bullock said. Rowley, who worked as a licensed sanitarian before working for the county, agreed with the governor. While increasing fees for professional licenses is one idea to raise revenue, the commissioners and state legislators need to be creative and find other ways to provide for the needs of Montanans, they said. Bullock said that providing ways to improve the quality of life for future generations should be the focus, and Rowley agreed. “But really, taking a step back and looking at 20 years from now. Where is this going to put our county? 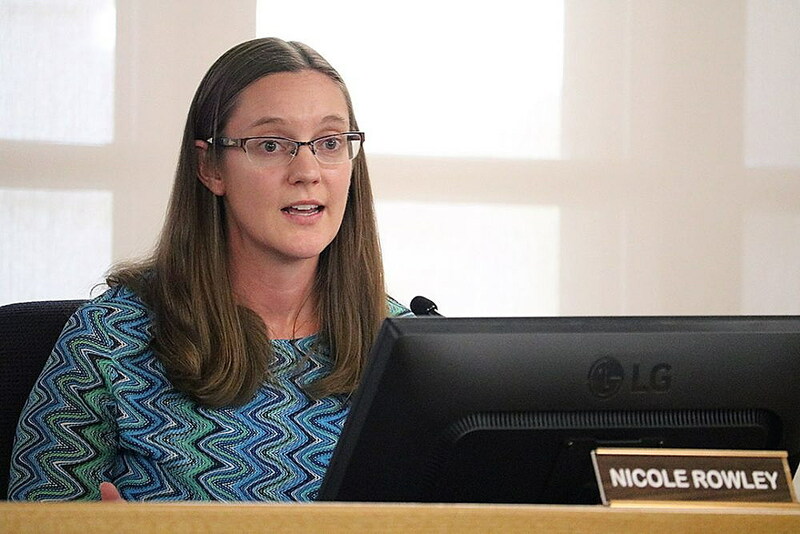 Is this a short term knee-jerk reaction, or can we make investments that make this place better for our children than it is for ourselves?” she said. During the 2019 legislative session, the commissioners and their staff plan to update a blog aimed at Montana legislators. By gathering information from department heads, posts will raise awareness about bills that could impact the county if passed or rejected. “They’re really taking on a lot of information and we just want to be as helpful as we can to them to educate them on the impacts that they’re making,” Rowley said. Overall, the next session needs to be a collaboration, Rowley said.